While it may sound impossible to marry an open kitchen with a formal dining room, this family needed just that. 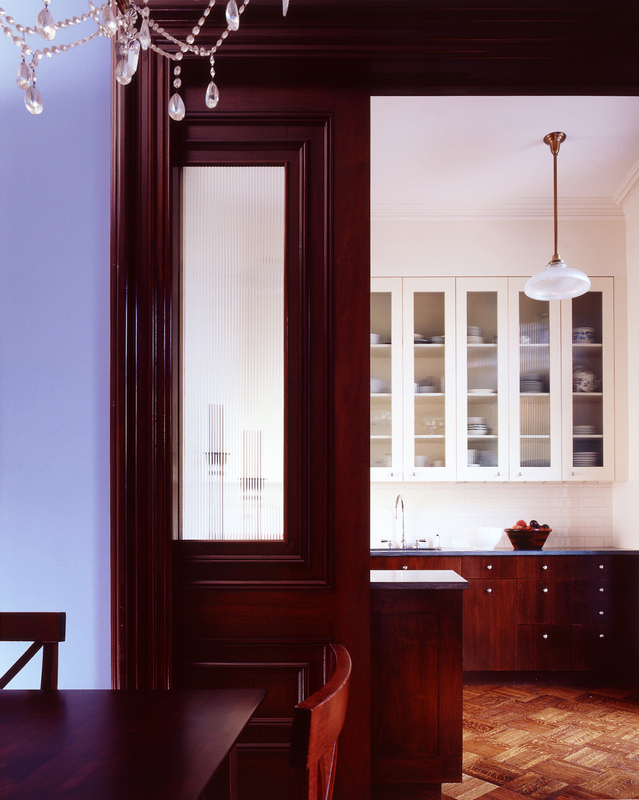 And they needed both to fit within a third of their brownstone’s parlor floor. 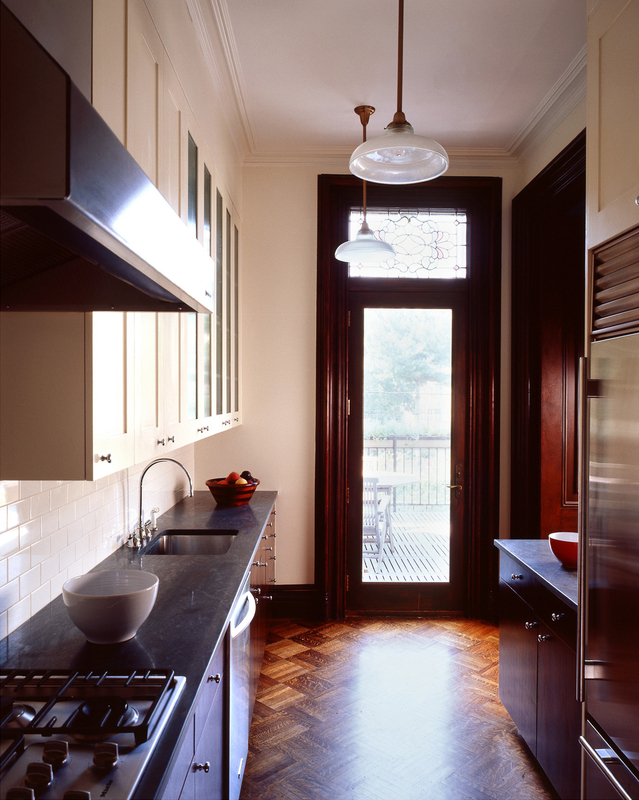 So the Brooklyn architect connected the two rooms with over-sized double doors. One pockets, one pivots. Now, a functional galley kitchen opens fully to the grand dining room, but closes off for formal dining. 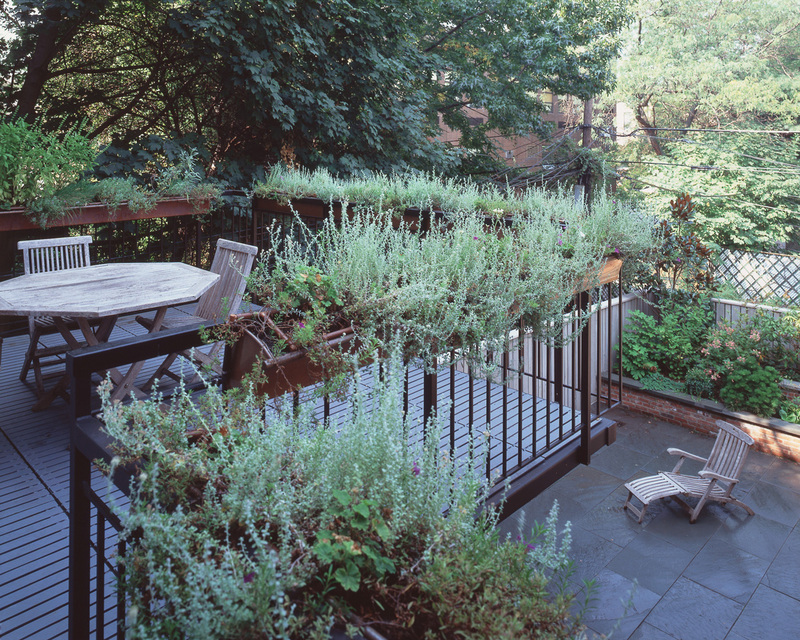 Off the kitchen/dining room, the garden deck cantilevers beyond its small roof to gain enough room for outdoor dining. 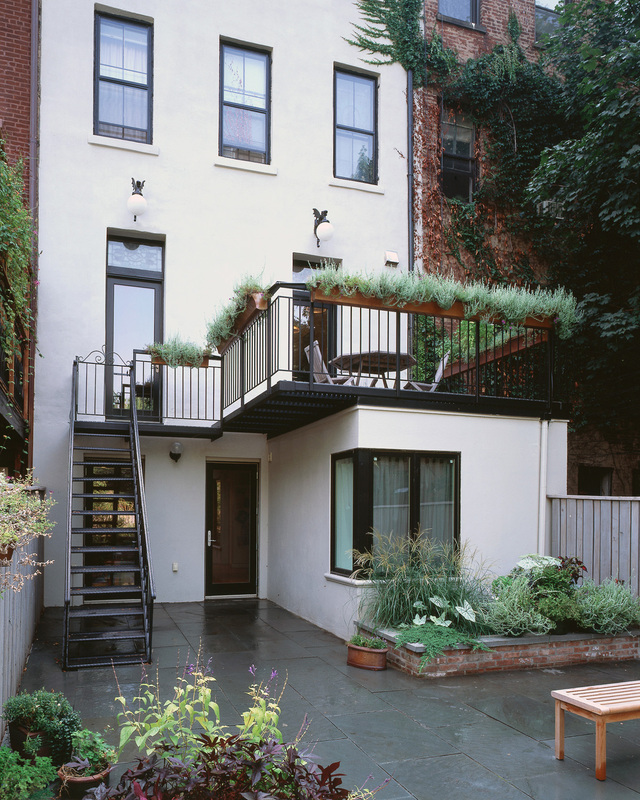 Grated decking, however, allows light to filter down to the garden-level playroom. 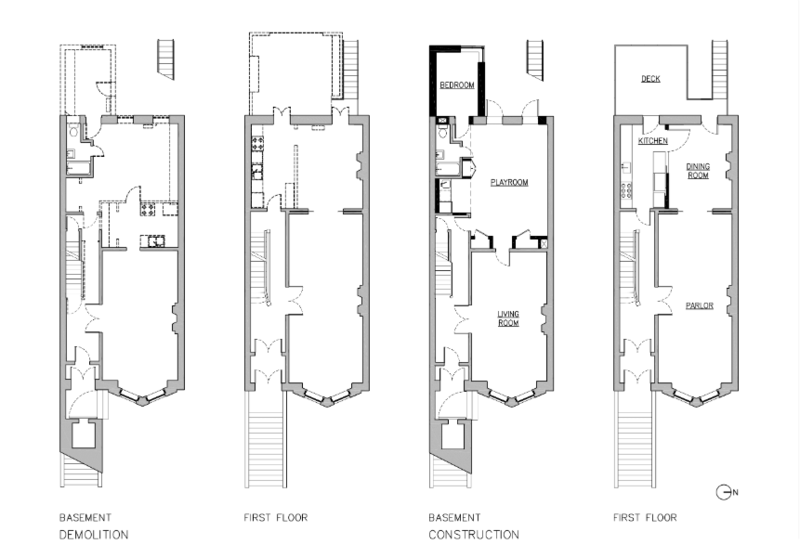 The architect rebuilt the extension below the deck as an au pair’s suite.